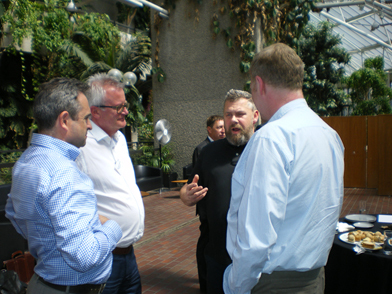 Shop and Display Equipment Association members were treated to a line up of truly progressive, forward-thinking speakers from the Retail Design and Build professions at the organisation’s recent Annual Review Day, which was held at the Barbican in London. Three equally inspirational speakers, who are leading influencers within their industries, enthralled members with energetic and thought provoking presentations on how they envisage the future of retail and why retail theatre is vital. David Judge of Judge XD, who is at the forefront of integrated experiential design, was the first of the speakers and fascinated the audience with his views on technology in the future of retail - including ‘frictionless shopping’ - where technology fuses seamlessly with the bricks and mortar store to create an all encompassing retail experience and put consumers in control. 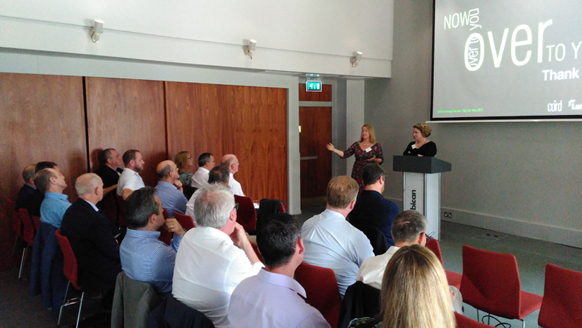 Judith Kelly, Senior Project Manager of Retail Delivery for Land Securities and Sara O’Rorke of Cord Design Consultancy, delivered a compelling presentation which highlighted that successful partnerships were key and result in shopping centres themselves becoming intrinsically linked with the retailer in order to create unique and innovative stores - ones which ultimately produce a better experience for all stakeholders including the shopper. 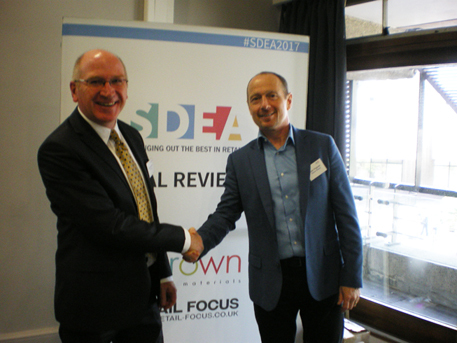 During the day’s proceedings SDEA President Alan Pegram, Managing Director of Global Display and Vice President Angus Morton, Head of Sales & Marketing at bbrown display materials were elected for another year. Executive Council elections also took place and saw Simon Olley, Managing Director of Stylographics Ltd and Nick Wraith, Managing Director of Unibox re-elected, whilst Paul Smart, Sales Director of Arken POP and Mark Jones, Managing Director of Fit-out Finance were newly elected bringing fresh thoughts and ideas to a well established group.